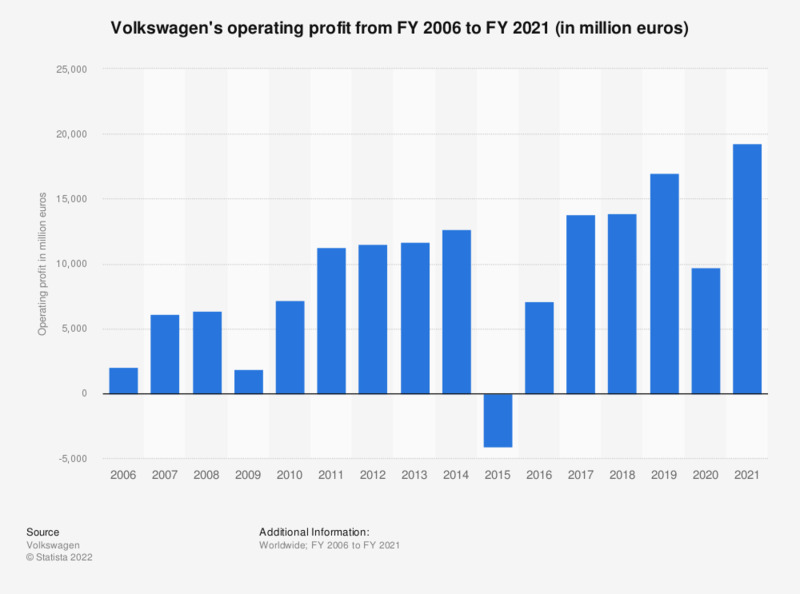 This statistic shows Volkswagen's operating profit from the fiscal year of 2006 to the fiscal year of 2018. In light of the diesel scandal, Volkswagen produced an operating profit of around 13.9 billion euros in 2018. The figures for 2006 through 2012 are taken from previous editions. One euro is approximately equal to 1.14474 U.S. dollars (as of December 31, 2018). Everything On "Volkswagen" in One Document: Edited and Divided into Handy Chapters. Including Detailed References.